Make your way to the waterfront in Murrells Inlet and find a comfortable spot while you await the 10pm fireworks show that will light up the night sky over the majestic MarshWalk. The fireworks will be launched from near the end of Veterans Pier, and you'll be able to view them from anywhere along the MarshWalk. If you're visiting the South end of the Grand Strand and Litchfield Beach area, you will love spending the Fourth of July in Murrells Inlet! Broadway at the Beach will be hosting a variety of events and activities throughout the day, but the real magic happens on the night of July 4th. This fireworks spectacular will take place at 10pm over Lake Broadway, so try to arrive early for the perfect viewing location. We recommend standing along either of the bridges that span the center of the shopping and dining district. A special July 4th event will be hosted by the Myrtle Beach Pelicans and presented by East Coast Pyrotechnics Fireworks. Come for the 7:05 starting pitch, and stick around afterward for a dazzling fireworks display, sure to be a homerun in your heart! The Pelicans will take on the Astros, and a special Independence Day Package will offer guests the following for just $17.76: a ticket in the Budweiser Thirst Inning Deck, a 24 oz. Budweiser draft beer (soda for guests under 21), a hot dog, Cracker Jacks and a mini American flag. Fireworks along the coast- what could make for a more inspiring perspective? Join your fellow attendees as they enjoy the Fourth of July Celebration activities hosted along the fabulous Boardwalk area. Enjoy live music performances throughout the event, and then turn your gaze towards the 2nd Avenue Pier at 10pm for an epic display of fireworks! You'll love the way the lights reflect off of the magnificent Atlantic Ocean. If you're visiting the North end of the Grand Strand, stop by Barefoot Landing for a wonderful Fourth of July experience. 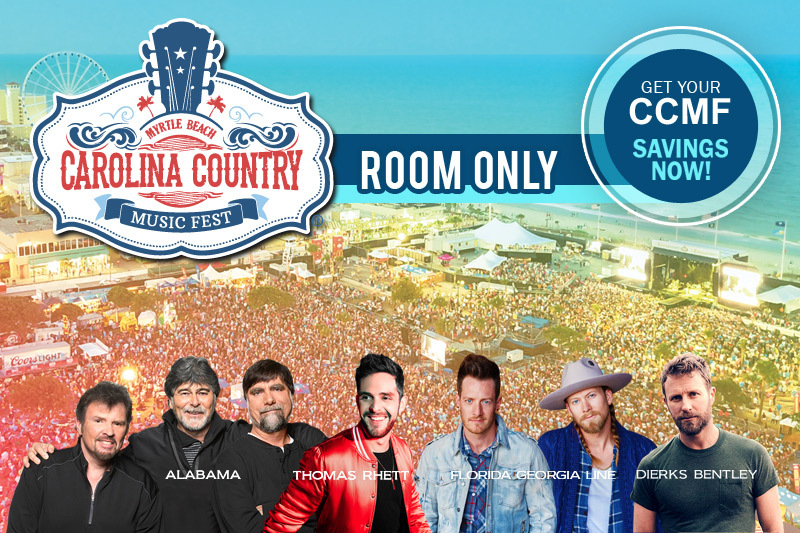 Beginning at 9:30, this North Myrtle Beach shopping and dining area will put on a special edition of its SummerFest fireworks, honoring the United States of America. The event will feature live entertainment throughout the evening. 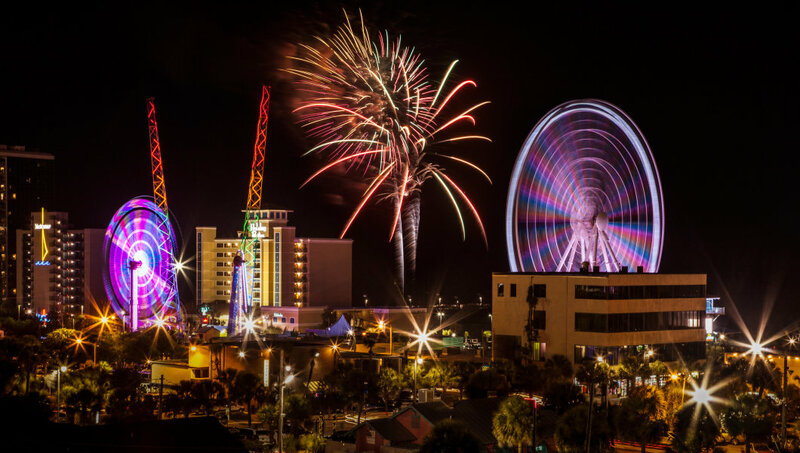 No matter where you choose to watch the Independence Day fireworks, you're sure to be impressed by the patriotic unity and excitement stirred up on this All-American holiday in Myrtle Beach, South Carolina! Make your July 4th vacation rental experience one that you will always remember, and catch a fireworks show in any of these terrific locations.